Children thrive on routines. It doesn't have to be exactly the same, but kids will handle the night time routine better (aka GO TO SLEEP!) when they know what's coming next. This routine uses cues to let Reese know that bedtime is coming. It goes from high activity to low activity. She starts very active and gets more and more calm as the routine goes one. Then she goes to sleep. Cute right? Ok... back to our night time routine. Reese takes two naps that are at least one hour long each AND she sleeps 12 hours. Yes, 12. Almost every night. The nights that it isn't 12, its 11. We moved her into her own crib in her own room at 8 weeks. I didn't think I was ready, and the first 3 nights were hard, but since then she has just... well... slept. She plays all day long and sleeps all night long, because hey, isn't that how it's supposed to be? Most nights we start the bedtime routine between 6:30 and 7:00pm depending on whether or not it's a bath night. We bathe her every other night, unless she does something where she gets dirty. Each night after dinner we let her play for a few minutes while we get the dishes done to get her last minute energy out. Around 6:30 we take her up stairs and have bath time. She loves bath time. For our bathtime we use Johnson and Johnson's baby bedtime bath. We do this because the lavender sent is calming and a cue to Reese that bedtime is coming. You can use any bathwash you like, but I highly recommend adding some lavender or other soothing smell to the bath. After bathtime we put Reese in her bumbo and we brush her teeth. Sometimes she helps. She really enjoys it! After her bath we lotion that girl down. We lay her down on her towel or on a blanket in her room and lotion her whole body. It's good for her skin. Again, we use lavender smelling lotion. The baby massage is soothing to her. Less active than the bath, but she still has some wiggle room. We give her a toy to play with or do flashcards while she gets massaged. After her massage we put on her diaper, brush her hair, and get her dressed. Then we let her pick a book off her bookshelf. Everyone knows how important it is to read to your children, so we made sure to incorporate it into her bedtime routine. We usually read one or two fun books (depending on how much more she needs to calm down) and then we read our bible devotional together and pray. This is even less activity than the massage. We are just helping Reese wind down. Then, comes the most important part of the routine. We turn off the light, turn on the sound machine and she nurses before bed. The sound machine is key. You can find the Sound Machine we use here. It's $20 dollars and is amazing. We only ever use the ocean setting, but you can use any setting you like. There is also the option for a projected mobile and a timer. The sound machine is soothing and a constant sound. It is her last cue that it's bedtime. It is also amazing because we don't have to tiptoe around the house after she's in bed. And, best of all, if she wakes up at night it soothes her back to sleep without me going in to her room. I realize I will have to break her of it at some point but for now it is wonderful. She will sleep anywhere if she has the sound machine so that works out of us, too. She doesn't use a pacifier.. never really liked it even though I give it to her every night. We put her down in her bed AWAKE and she babbles for a few minutes and falls asleep. If your baby falls asleep while nursing or taking their bottle, I've heard you can change their diaper to wake them. If she is crying, it is more of her calling out for us not actually being upset and it only lasts a few minutes. The first few days we did this routine, she cried. For as long as I could stand. Sometimes that was 5 minutes. Sometimes that was 30. But she knows she is loved and I know she is safe. It is ok if she cries as long as she is safe. No baby ever died from crying... though it does break your heart sometimes. Eventually they will fall asleep. As a parent, you are training your children to grow up and go out into the world. Sleeping is the first thing you have to train them to do. It is hard at first, absolutely. But you just press through and after a week they will just know that at night, you leave, they sleep, and you come back in the morning. That's just what happens in life. If you train them that you are coming in every 5 minutes, or that if they cry for 30 minutes you will pull them out of bed, then that is what they will do every night. If you train them that night time is for sleeping, they will sleep. I realize that every child is different, so these steps may have to be tweaked to be more accomadating for your family. Side note, we decorated her entire room and filled her crib with beautiful fluffy bumpers before she came. And she has never once slept with anything in the crib. I know there are people who think it's fine to put things in their crib, or give them a blanket, or leave bumpers up, but for us it is just not worth it. Its distracting for Reese and it's dangerous. So, it's just plain empty. And has been every time she's ever slept in it for her entire life. What do you do for your bedtime routine? 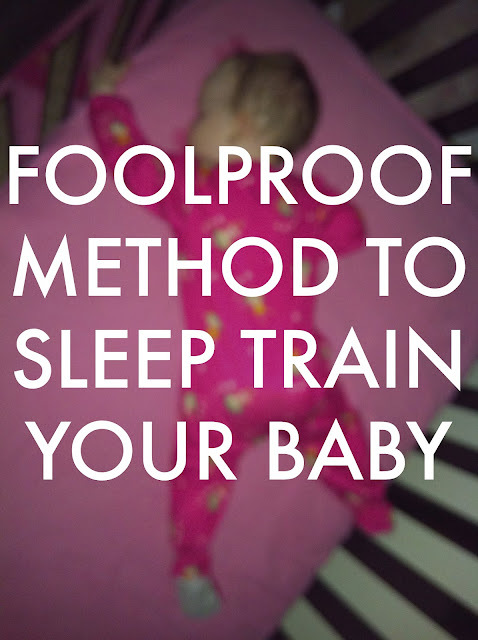 What are you training your child where sleep is concerned? I totally agree. Routine is key. And as you know, I also don't like to admit to other Mom's that Connor too sleeps 12 hours AND naps in his crib. Like you, we have a very consistent routine that is the same every night. And I swear, 7 o-clock rolls around and he ASKS for his "baba" and knows it's close to bed time. Then 7:45 he actually ASKS for "ni ni" so it works. And some nights he does cry in his crib but I give him a kiss, tell him sweet dreams see you in the morning and walk out. Usually only lasts less than 5 minutes, if at all. I was late putting Connor in his own room, I think he was 4 months. Then I thought maybe I had waited TOO long but he didn't even notice the switch. I love your mommy posts! L slept in bed with me until he literally started crawling in his sleep at 5 months. So it was hard to teach him the crib is for sleep, but he is all better now- thanks to a routine her has been sleeping in his crib for a few months now! So I have a question, I nurse and L refuses a bottle. Does 5ohbaby even want to eat at night? L still wakes up 3-4 times wanting to eat, or is that what he really wants? Do you have any suggestions! This post is so cute! :) You are simply the sweetest momma! :) Her nursery is adorable and I love her toothbrushing pictures!! Emailed you but for everyone else "awesome that a routine has worked for you. No, 5ohbaby does not nurse at night (after bedtime). I'm sure if L has been waking up at night and you offer nursing as a pacifier that's kind of what you're training him to do. I would say, try to tough it out a few nights. Maybe don't go in right away, or go in fewer times. That's why I love about the sound machine- they sleep so much better with it. If L is older than 6 months and eating food 3 times a day I don't think there's a reason to nurse after bedtime. That's jut my opinion. Sounds like you're doing a great job!" I'm not a mama, but my mom always read to me and my sister before we said our prayers and went to sleep. We were allowed to play a tape falling asleep, so we had Disney stories on cassette. My favorite was Tarzan, I think! Anyways, it totally worked for me and Robin. On a random note, your daughter is so adorable! I love her room, too. So pink and perfect. soo beautiful and adorable kids!!! as it is said in the bible, train up a child in a way he should go and when he is old he will not depart from it... you are a very blessed parent and surely a blessing to your kids.. love the crib!! following you now.. hope you could visit my blog too.. kissess!!! Sounds like you've done a GREAT job!! We had a GREAT routine with Ethan and he slept 12 hours a night, in his own bed from a very young age too. THEN we had LEXIE...lol. She has been a totally different story!! But we are not on as good of a schedule as we were when we first had Ethan. Since I don't work now and Ryan works shift work, our schedule is CRAZY!! So yes, I would have to agree, schedule is key!! When I was a nanny that was the first thing I would do, put them in a routine! yes..they resist ..but love routines..it makes them feel secure. teens love this too, it grounds them! and adults call it tradition. Wow! This sounds kind of intense but cool. What do you do when you have an evening event or commitment? Thanks for sharing! This sounds like our routine... love it! DO you do baby wise? We do and LOVE IT! It makes so much sense to be proactive in your parenting rather than reactive. Babes are flourishing because everyone is well rested and knows what is coming next. wow. i commend you for posting this. 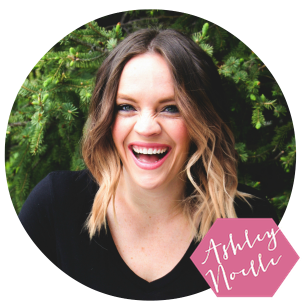 i've thought about posting about our routine, too, which at first included the "crying it out" method... but i was too big of a wimp to put myself out there like that. i am scared people would come down on me like a pack of dogs. but your honesty proves me wrong. well done! Love the decor!!! You did a great job :) You gave me some ideas for the nursery. This was very good timing (your re-linking this post) as I am currently working on this with my 8 week old son. You are so right. It's hard to listen to the crying but the reality is he would cry more when I was nursing or rocking to sleep cause as soon as I moved to put him down he would wake and cry again. Now we are down to 10 minutes to sleep; a five minute whine and I've minutes of blinking dreamily. They learn so quickly don't they!